Strathearn Health & Beauty have a dedicated fully qualified team of Doctors, Technicians and Practitioners that excel in all treatments. We assure you that our experienced team can help you address your concerns and help towards the new you. We have a wide array of treatments and procedures from weight loss, laser hair removal, mole or cyst removal, thread vein removal, tattoo removal, skin rejuvenation, facial lines and wrinkle cosmetic injections, hair care rejuvenation, carboxy therapy, fungal nail removal, lip fillers facial dermal fillers, and LED skin care treatments. Laser hair removal using twin laser Alexandrite and Nd Yag lasers. Safe, effective and quicker results than other lasers which saves our clients money. At Strathearn Health & Beauty it's about lifestyle changes not diets, our doctors and staff understand how difficult it can be to reduce the weight. 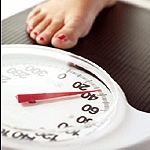 With over 18 years experience in weight loss treatment, you too can loose the weight. 12 week programme. Just had twin laser hair removal found results better than ipl, had under arm, bikini and legs. Staff were first class and put me so at ease would highly recommend,going on holiday now to show off confidence at a high, future appointment made. Thank you Strathearn.